LONDON – Seven out of every ten small businesses in the UK think that the national tax system unfairly benefits big businesses. 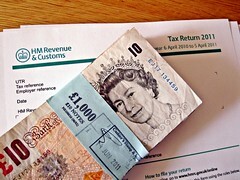 The results of a new survey published by the online accounting software provider FreeAgent shows that a majority of small-business owners in the UK believe that the current tax system in the UK benefits big-businesses more than small- and micro-sized businesses. The survey was conducted on self-employed individuals and on owners of businesses with less than 10 employees. Approximately 71 percent of respondents to the survey indicated that they believe that the UK tax system benefits big businesses and disadvantages small business. Only 8 percent of business owners believed that the tax system benefits large and small businesses equally. Only a minuscule 1 percent of respondents believed that the tax system benefits small businesses more than their large counterparts. It has been estimated that there are approximately 5.2 million small- and micro-businesses in the UK.